Boeing will name its first commercial astronaut this summer, according to an article in Space News. 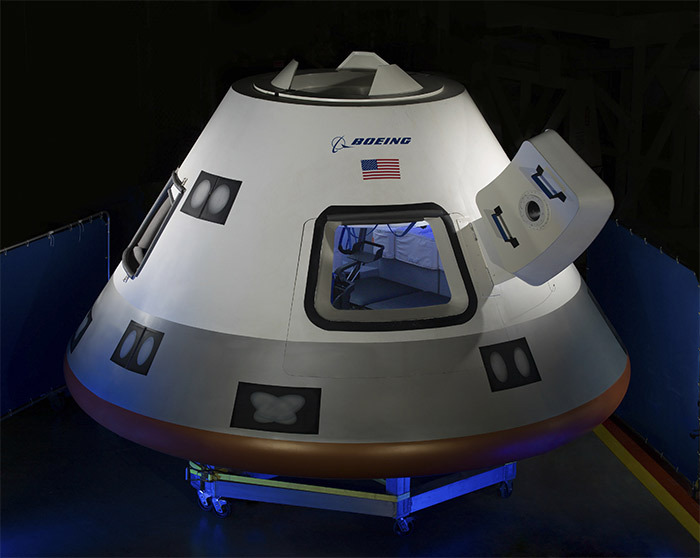 The Boeing astronaut will be one of two persons to fly the CST-100 capsule on its first crewed test flight in 2017. The other crew member will be a NASA astronaut. Boeing also plans to unveil the CST-100 spacesuit, being developed by David Clark Company, at the same time. After months of public speculation, NASA has finally revealed its selected ISS crew contractors. Not surprisingly, the big winner in the competition is Boeing. The aerospace giant will receive a contract worth up to $4.2 billion. The total value includes vehicle development, certification, and operational flights to the International Space Station. SpaceX will receive up to $2.6 billion to meet the same goals. It may seem strange that SpaceX is receiving less money for the same amount of work, but the contract payments are based on each company’s own bid. 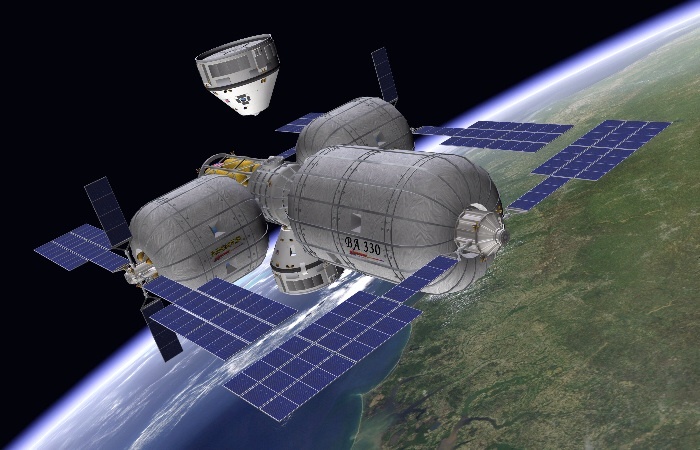 NASA hopes that both companies will be able to deliver astronauts to the International Space Station by 2017. Meeting that date will depend on adequate funding from Congress, however. In the past, Congress has urged NASA to downselect to a single contractor, and there may be additional pressure on NASA in future budgets. Before operational flights begin, each company will conduct at least one demonstration flight to ISS with a NASA astronaut onboard. The contracts are said to include six operational flights to the International Space Station (presumably split evenly between the two companies). The actual number of flights flown (and the actual value of the contracts) will depend on the needs of ISS, however. 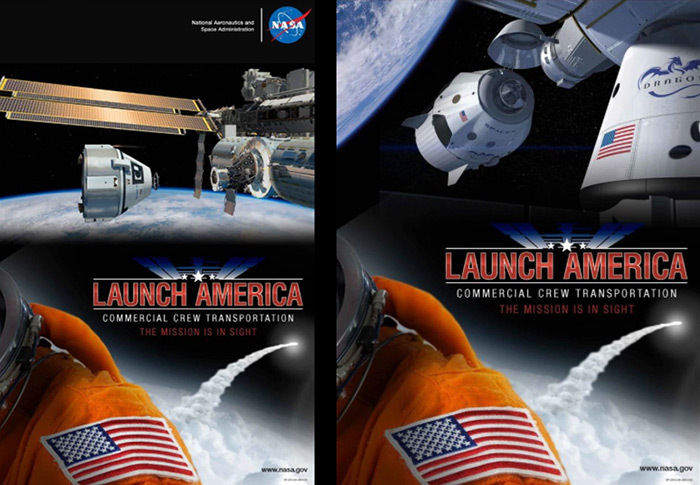 The apparent loser in the competition is Sierra Nevada, which will receive no funding to continue development of its Dream Chaser lifting body. That development is unsurprising. Sierra Nevada was reduced to half funding in the previous round of CCDev contracts, signaling NASA’s direction. In the long run, however, Sierra Nevada might turn out to be the winner. Sierra Nevada has been much more aggressive than Boeing or SpaceX in lining up customers outside of NASA. It has signed memoranda with the European Space Agency, the German Aerospace Center (DLR), and the Japanese space agency (JAXA) which could lead to joint development and operations. By contrast, SpaceX reportedly turned down an offer from Dennis Tito to supply a capsule for the Inspiration Mars mission, for fear of alienating NASA, forcing Tito to turn to NASA’s Orion instead. Sierra Nevada is now free to pursue foreign and commercial customers with fear of contract reprisals. NASA has invited the losing company to continue participating in the Commercial Crew program, without funding, and share its data with NASA. Whether Sierra Nevada takes NASA up on this offer or not remains to be seen. In any case, Sierra Nevada will not be obliged to comply with all of NASA’s certification rules, processes, and procedures, however. SpaceX project manager Garrett Reisman has spoken of “one thousand separate requirements” which NASA has imposed on contractors. Without this red tape, Sierra Nevada will be free to move more quickly, assuming it can find funding. In the end, it may be that Sierra Nevada wins for losing. Boeing released this video to promote its CST-100 capsule. 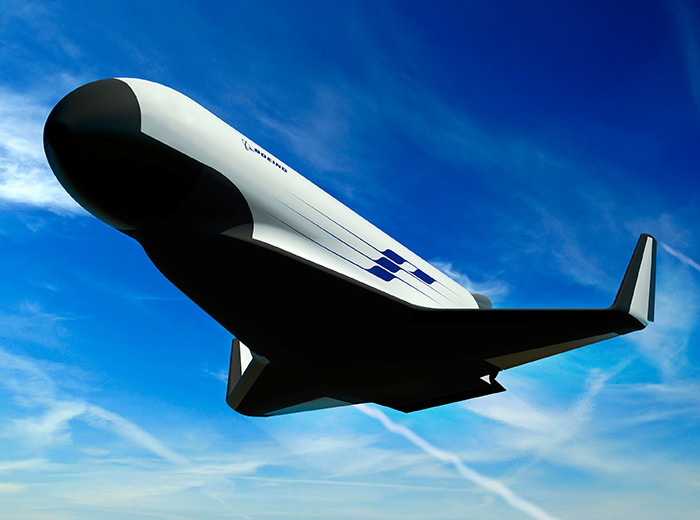 Following DARPA’s announcement of three Experimental SpacePlane (XS-1) teams, the Boeing Company released an illustration of its XS-1 design concept. Boeing and its subcontractor Blue Origin will receive $4 million for the XS-1 Phase I study. DARPA plans to hold a Phase II competition next year for the follow-on production order to build the vehicle and conduct demonstration flights. 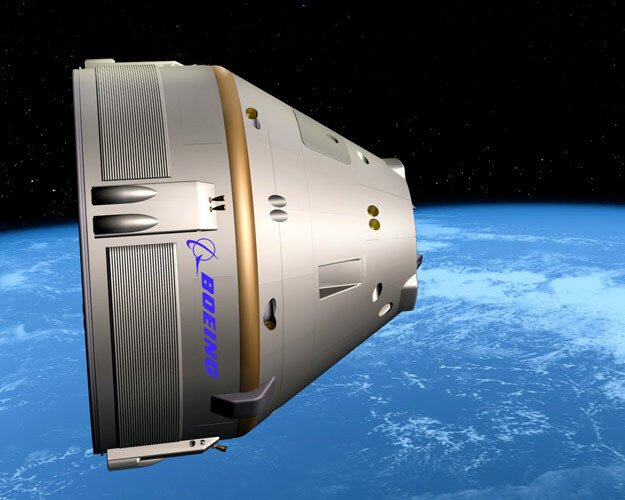 Boeing states that it is building its business case for the CST-100 capsule on two flights per year to the International Space Station. XCOR Aerospace is building its business case for the Lynx spacecraft on the ability to fly four times a day. Roll those numbers around in your mouth for a while. Suborbital spaceflight is often dismissed as unimportant (just as the first microcomputers were dismissed as unimportant). It doesn’t have the same numbers – speed, energy, altitude, duration – as orbital spaceflight. But like the first microcomputers, it will have the numbers that matter. As SpaceX prepares for the first commercial docking with the International Space Station, the race to develop crew and cargo resupply vehicles continues to heat up. Emerging space companies like SpaceX, Blue Origin, and Sierra Nevada are competing against one another and against established companies like Orbital Science and Boeing. Now, competition has reached the point where two divisions of the aerospace giant are competing against one another. Boeing is hard at work developing the CST-100 capsule under the NASA Crew and Cargo Development (CCDEV) program. Late last year, it was revealed that another Boeing crew and cargo vehicle may be in the works. 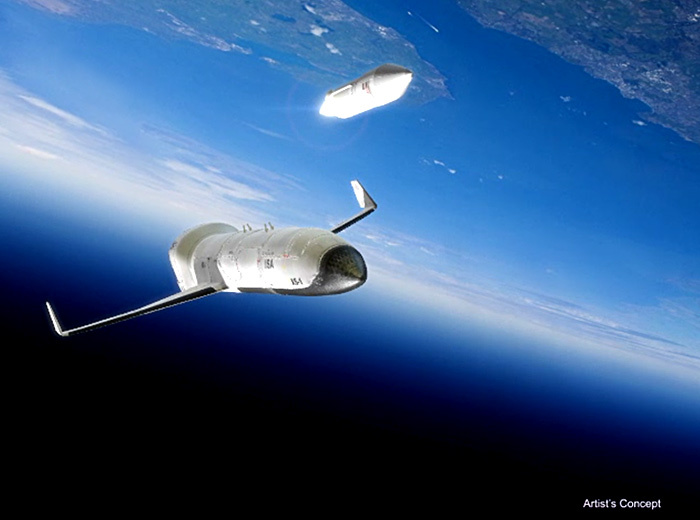 At the American Institute of Aeronautics and Astronautics’s Space 2011 conference in November, Boeing’s Arthur Grantz revealed that the company is studying a new derivative of the Boeing/USAF X-37B. 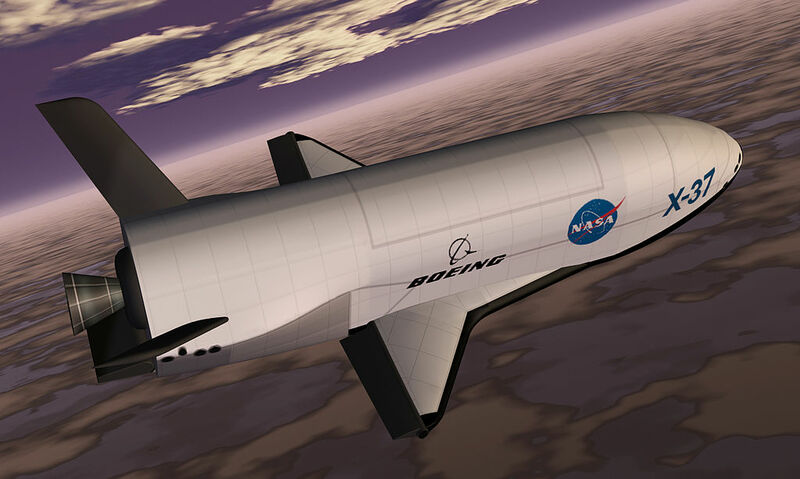 The new X-37C would be 65-80% larger than the current B version. Launched by an Atlas V rocket, X-37C could carry pressurized or unpressurized cargo or 5-6 astronauts. Grantz is chief engineer in charge of X-37 at the Boeing Space and Intelligence Systems Experimental Systems Group . 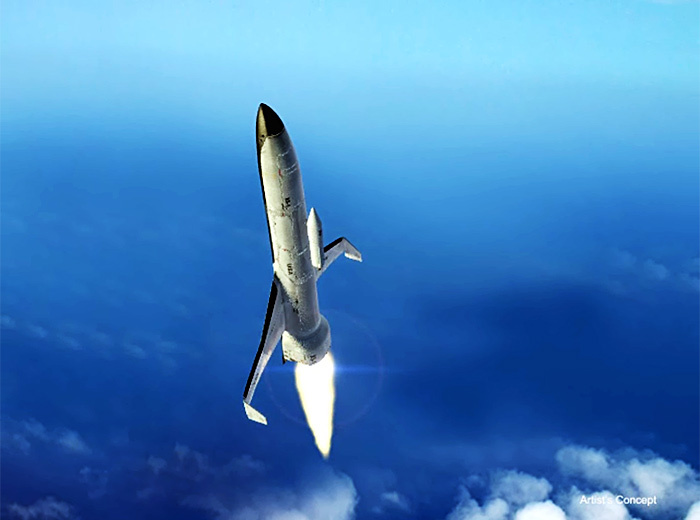 One advantage of the winged X-37C would be its gentle 1.5-gee reentry profile. The soft return would benefit astronauts who are deconditioned by long-duration missions in weightlessness as well as those who must be evacuated for medical reasons. Astronauts would normally ride in aircraft-like seats but the design includes provisions for transporting one astronaut on a stretcher. Fragile hardware, such as the results of biological or materials-processing experiments, would also benefit. The X-37C seems like a dark horse at the moment, since CST-100 is already in development and receiving funding under CCDEV, but rumors say that NASA is considering extending the life of the International Space Station again, to 2028. If that happens, the chances for new entries in the CCDEV race are likely to improve. X-37 could also carry citizen space explorers to a Bigelow space station and other Low Earth Orbit destinations in the future. This type of internal competition is a sign of a healthy industry. In the commercial world, a good company is always trying to make its own products obsolete (before an external competitor does it for them). X-37 began as a NASA program in the late 1990’s. NASA funded the development of two vehicles. One vehicle, called X-40, was designed for approach-and-landing tests with a CH-47 helicopter used as the drop aircraft. The slightly larger X-37A was designed to go into space but never made it. The program was canceled and X-37A was mothballed for several years until the Defense Advanced Research Projects Agency (DARPA) took it over. X-37A was then used for additional approach-and-landing tests, using Scaled Composite’s White Knight (originally built to carry SpaceShip One) as the drop aircraft. Finally, in 2006, the US Air Force decided to proceed with orbital tests of the X-37. It was decided that the original X-37 was not adequate for this purpose, so a new version, called X-37B was constructed. Two X-37B vehicles were built. The first X-37B conducted a 225-day mission in space from April 22 to December 3, 2010. The second X-37B was launched on March 5, 2011. It is expected to remain in orbit for 270 days or longer. Although X-37B is designed to be reusable, neither of the two vehicles has yet been reflows. The Air Force officially designates the X-37B as an Orbital Test Vehicle, or OTV. Various conspiracy theories claim X-37B is everything from a spy satellite to a space-weapons platform, but there’s no evidence to indicate that it is anything more than an experimental test platform as the Air Force states. The low flight rate would sam to preclude an operational role. The PDR included representatives from Boeing, NASA, the Federal Aviation Administration and independent consultants. Boeing has scheduled additional tests to be performed in 2012, including a launch abort engine hot fire test series, which was successfully completed on March 9, parachute drop tests in April, a landing air bag test series in May, a forward heat shield jettison test in June, and an attitude control engine hot fire test in June, to gather additional data on key functional elements of the spacecraft design. The Boeing Commercial Crew Space Transportation System is designed to provide crewed flights to the ISS and a future Bigelow Aerospace orbital space station. The following video shows how the system might support a Bigelow station.